The new Asabone Patterns Series 2 now ready to ship! These patterns can be machine pieced, raw edge appliqued, hand appliqued in needle turn, and also constructed in fusible applique and freezer paper applique. Asabone Patterns Series 1 ready to ship! At long last the patterns are here!! 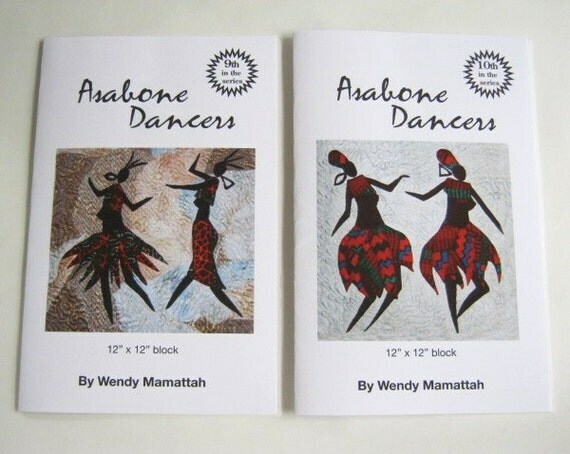 Authentic African silhouette art quilt patterns, created by Wendy Mamattah. These are 12 by 12 inch blocks which are great for block of the month, and perfect for traditional quilts, and also work as great independent quilt art pieces. These patterns can be machine pieced as raw edge applique, hand appliqued, and also constructed in fusible applique and freezer paper applique. 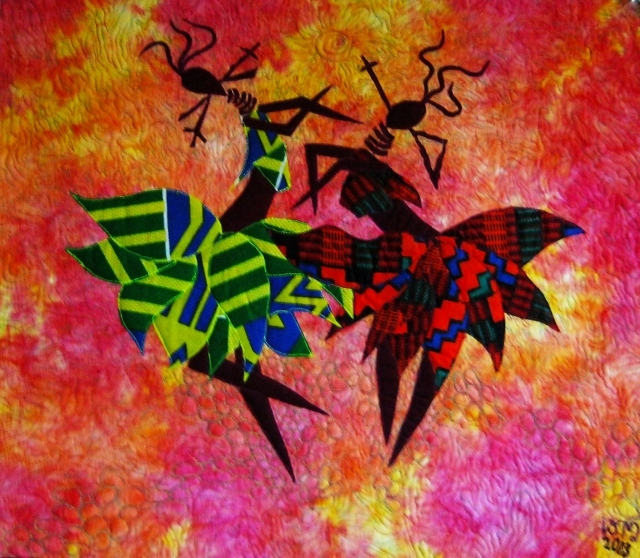 Asabone in Ghana means wild dancing which is the name for this art quilt pattern series, because of how my two dancers have let themselves go wild while dancing, while the men play the drums. This is a very normal way of entertaining in most African villages and is common practice. This art work is raw edge, machine appliqued and machine quilted with Kente prints as fabric of choice. Thank you for purchasing this Wendy Mamattah pattern. Every effort has been made to ensure that the contents of this pattern are written clearly and accurately. We welcome your comments. All items contained in this pattern are protected by Copyright and may not be reproduced for any commercial use without prior written consent of Wendy Mamattah. 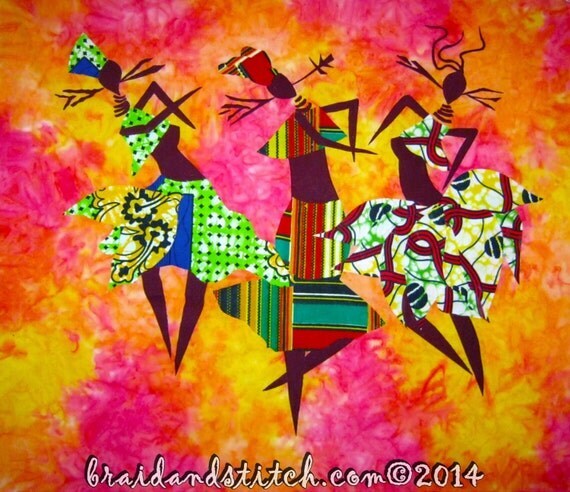 Be my first order, and receive these African silhouette patterns from my hand to yours! Patterns will ship immediately within the next business day.